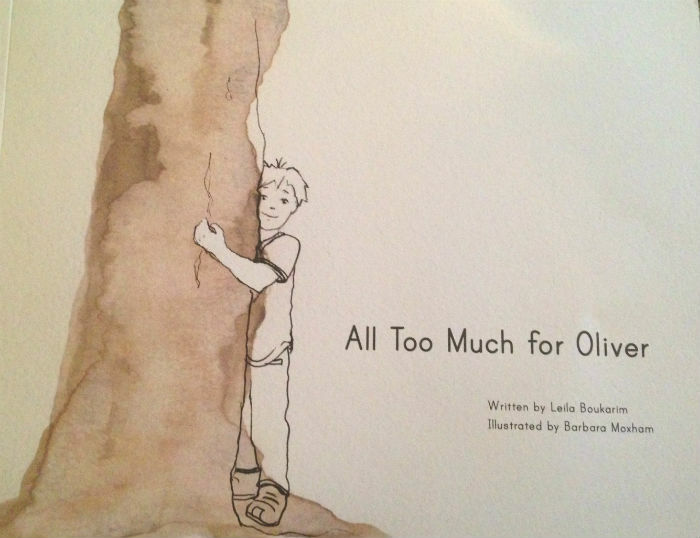 Leila Boukarim, of Sensitive and Extraordinary Kids, was kind enough to send me a copy of her children’s book, All Too Much for Oliver. Before I talk about the book, I wanted to mention what a kind and sweet woman Leila is. 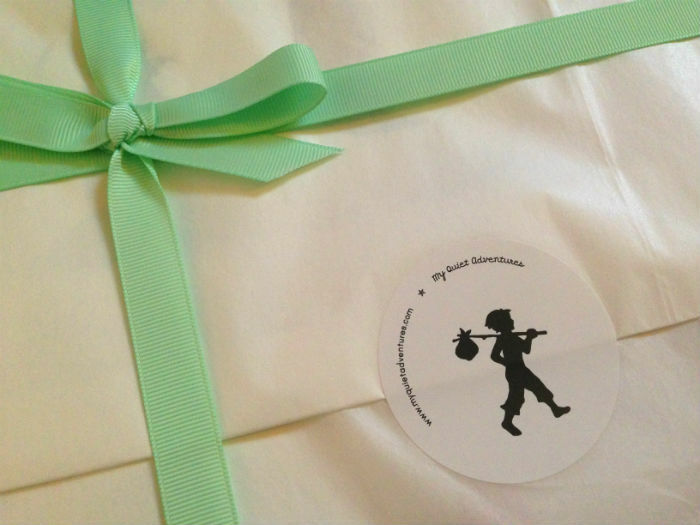 She included postcards and stickers in with the package and even wrapped it all up with a pretty bow. 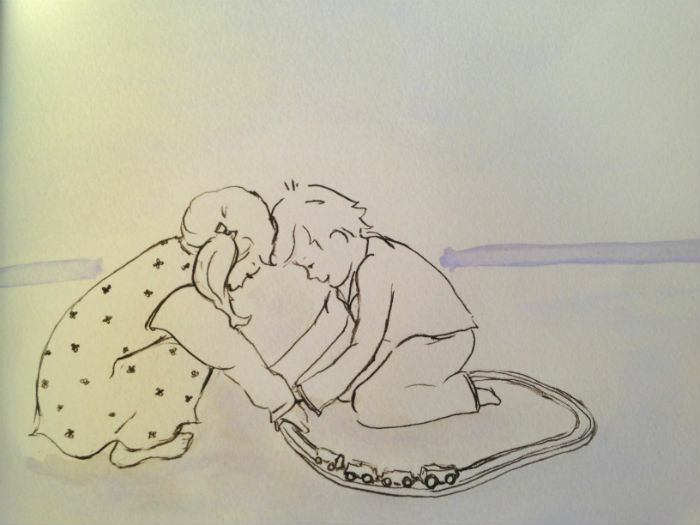 Oliver makes a friend who is not highly sensitive, and enjoys wilder and louder things. 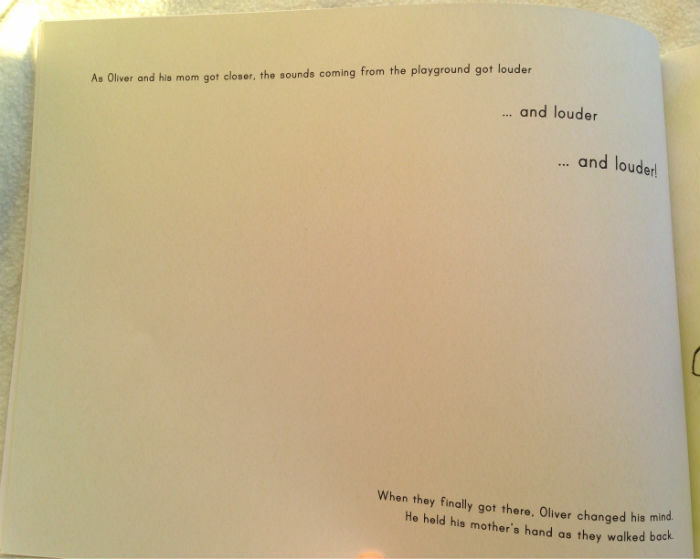 With her help, Oliver realizes he, too, can sometimes enjoy louder things, as well as still being himself, a highly sensitive child. I like this book because the text and illustrations foster a sense of quiet and calm. The story line does not say how Oliver “solved his problems” or that they are problems at all — which is awesome because being highly sensitive is not a problem to be fixed. 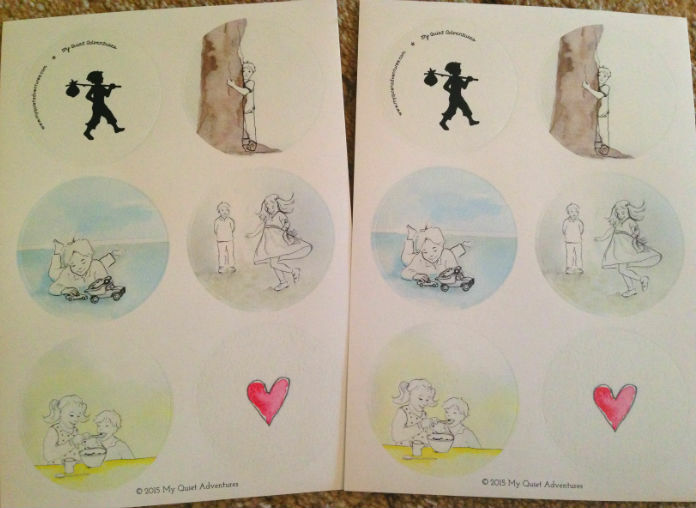 Because of this, the child can interpret the text in a way that works for them, that jives with their story. I’m especially pleased (and a tad jealous, LOL) that the people in Oliver’s life are not in any way judgmental about his quietness. It will give children a sense that it is OK to be who they are, in a world where many people may say otherwise. 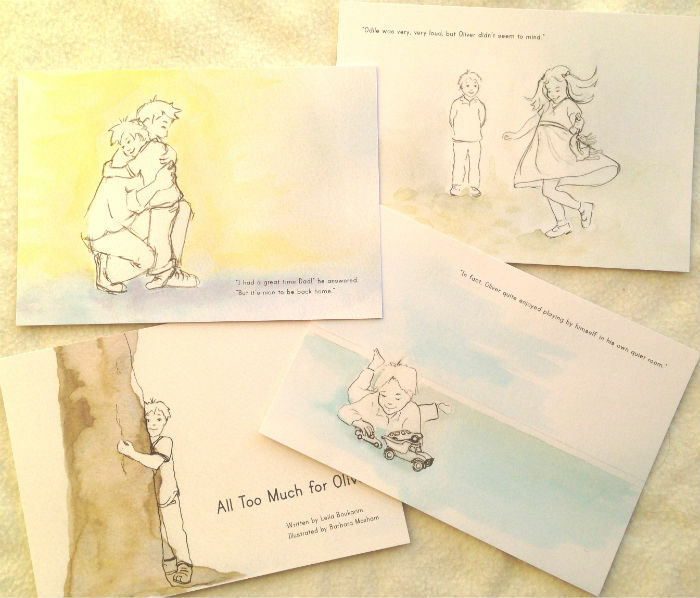 All Too Much for Oliver is available in paperback and Kindle formats. Oh Amy, what a beautiful review! It makes me so happy that you enjoyed the book with your little ones. I’m going to be reading this over and over again… It made my week! Thank you so much Amy for this. You’re wonderful!